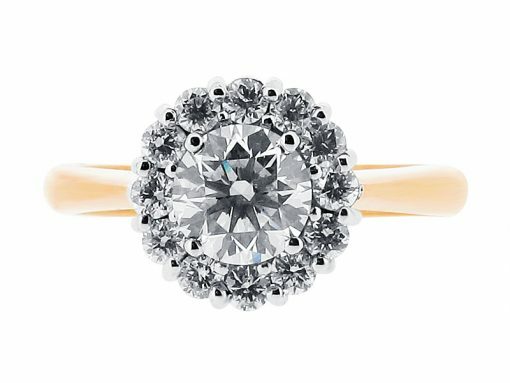 Cluster rings are popular because you get a lot of sparkle for your price range, and they are perfect for the girl that wants maximum impact. 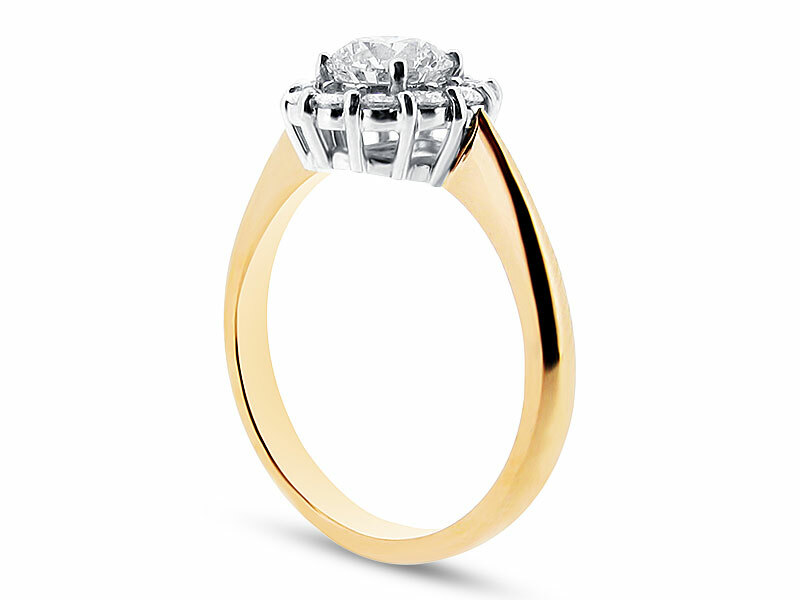 This style carries a vintage feel with its yellow gold band and white gold claws. Voltaire Diamonds can custom make this ring for you starting from approximately €2,250 and will advise you on the quality of stones. We are also happy to make this style with other gemstones such as sapphires, emeralds, and rubies. Voltaire Diamonds have a wide selection of diamonds available with diamond grading reports from GIA, IGI, and HRD. We would be delighted to meet with you at our offices just off Grafton Street to discuss your preferences.